Peartree Point Beach. Taken Sept. 24. 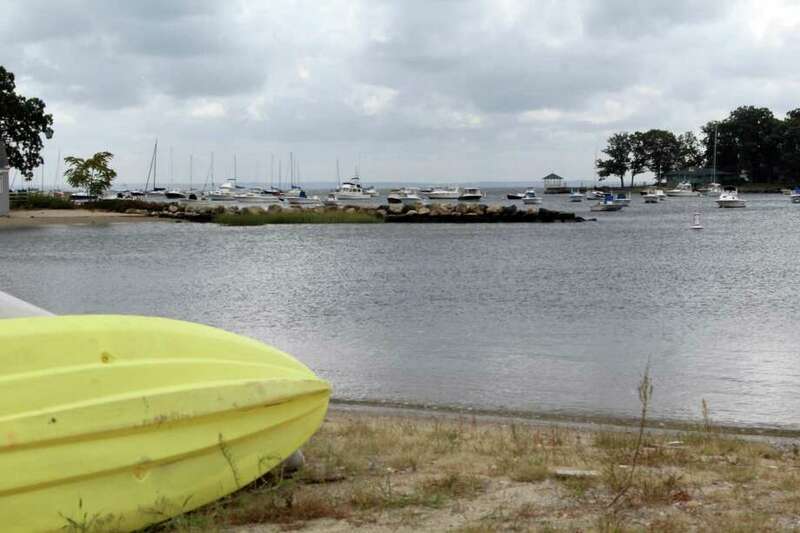 DARIEN — Peartree Point Beach could potentially be getting some new additions. First Selectman Jayme Stevenson said after updating facilities at Weed Beach, renovating Peartree was next for the Parks and Recreation Department. “In terms of project priorities this is next in the queue,” she said. A total of $150,000 was approved by the selectmen and the finance board for construction drawings to be done for Pear Tree Beach. After a firm is brought on board, the community will have an opportunity to voice their suggestions. A new bathhouse where the bathrooms and concession stands are is one of the priorities for the renovation, Jim Coghlan, assistant director for the Parks and Recreation Department said. Once a firm is hired to oversee the project, they will also receive recommendations for what should be added to the beach. Bathhouse amenities will have to be requested in another budget request, he said. Similar to Weed Beach they hope to start construction around September, he said. Doing the construction throughout the fall, the winter and spring could help to have the beach open for residents by the summer. Coghlan said if things go according to plan and construction is able to be started in the fall, they hope to have the beach open by Memorial Day of the following year. The project is still in its early stages. The Board of Selectmen approved a building committee for the project at their meeting Monday. Selectman Marc Thorne will serve on the building committee. Coghlan said they hope to follow a similar plan to the renovation done at Weed Beach. Weed Beach was renovated in 2011 and a new paddle tennis operations building, sidewalks connecting sections of the beach property and bathhouse were some of the results. Coghlan said every year the department has a list of capital or big projects they would like to do.